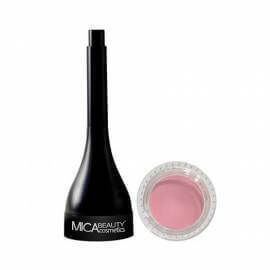 Mica Beauty's 24 hour Tinted Lip Balm conditions your lips without smudge while delivering sophisticated finish, also helps keep your lips soft, smooth and protected. 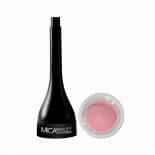 Mica Beauty's 24 hour Tinted Lip Balm conditions your lips without smudge while delivering sophisticated finish. Infused with Vitamin E, Mica Beauty's Tinted Lip Balm helps keep your lips soft, smooth and protected. For a sheer wash of colour, one swipe is all you need. Do you want an even bolder pout? Simply apply another swipe and this lip balm will create lips every woman covets. Apply on its own for a moisturising lip colour that will last for hours or beneath one of our Matte Liquid Lipsticks to keep you covered if your lipstick begins to fade. Propylene Glycol, Dicaprylate / Dicaprate, Isopropyl Myristate, Ozokerite, Mineral Oil, Sorbitan Sesquioleate, Dimethicone, Tocopheryl Acetate (Vitamin E), Kaolin, Silica, BHA, Decylene Glycol, Methylisothiazolinone May contain: Titanium Dioxide, D&C Red 6 Lake (CI 15850), D&C Red 7 Lake (CI 15850), D&C Red 30 Lake (CI 73360), FD&C Blue 1 Lake (CI 42090), D&C Orange 5 Lake (CI 45370), FD&C Yellow 5 Lake (CI 19140), Ultramarines (CI 77007), Iron Oxides (CI 77489). Please be aware that ingredient lists may change or vary from time to time. 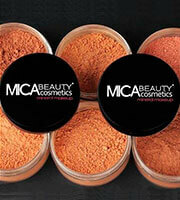 Please refer to the ingredient list on the product package you receive for the most up to date list of ingredients. It is a nice subtle colour for an everyday look! I love it and wear it daily! Love this colour - 05 Natural! Lip balm is perfect for everyday makeup look for a natural colour on the lips! I love it! This products have a great range of colours to choose from, and they are all really pretty.